Spotlite Claims is always keen to support local community initiatives, particularly when they are related to our line of business. For the last four years we have been following the phoenix-like rejuvenation of this art deco cinema house originally built in 1908. Having lain unused since 1995, it had previously led an adventurous life under several owners including being burnt down and was subsequently carved into four screens. The cost of the renovation has been raised from public donations and Spotlite has contributed to this with an initial donation and more recently a seat sponsorhip. A local cinema entrepreneur has been the driving force behind re-opening The Odyssey along the classy lines of his current cinema, The Rex in Berkamsted. 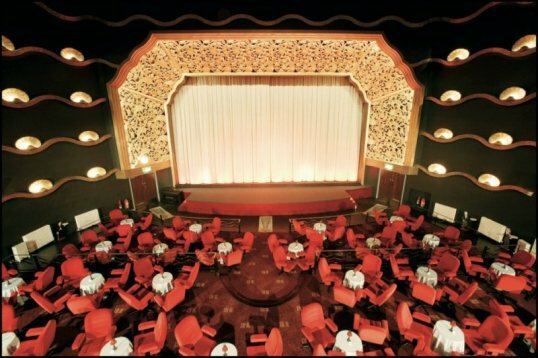 The cinema will return to a single screen, make the most of the art deco styling and includes table style seating downstairs, a bar in the auditorium and ability to drink throughout the cinema. If the Rex is anything to go by, The Odyssey will be showing a diverse exciting and busy repertoire, offering a real alternative to the big multiplexes. They will be showing everything from The Motorcycle Diaries, The Diving Bell and the Butterfly, Before I go To Sleep, Tony Benn: Will and Testament to Ghostbusters!